Over the last year, the media have published story after storyafter story about the declining price of solar panels and wind turbines. Michael Shellenberger , CONTRIBUTORI write about energy and the environment Opinions expressed by Forbes Contributors are their own. 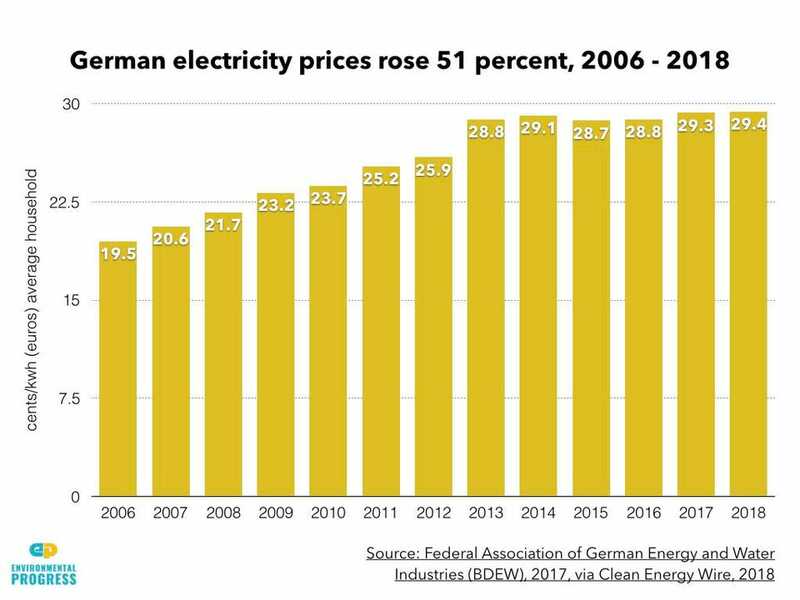 Electricity prices increased by 51 percent in Germany during its expansion of solar and wind energy. 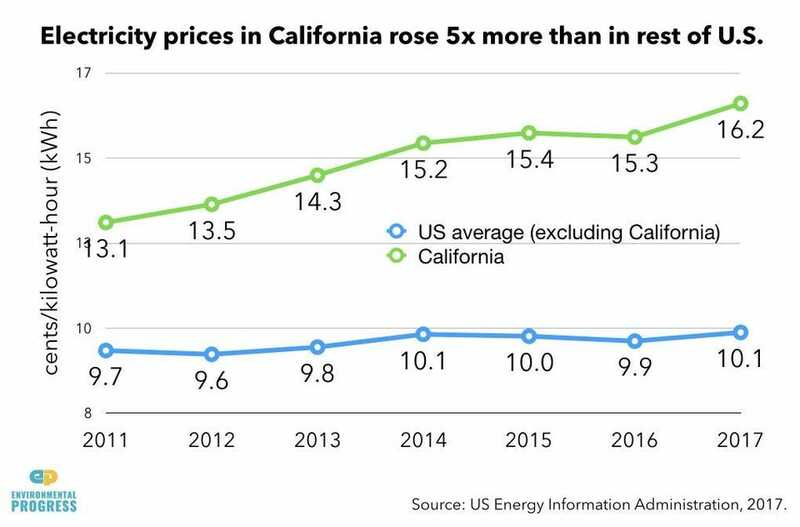 Electricity prices increased 24 percent in California during its solar energy build-out from 2011 to 2017. Hirth predicted that the economic value of wind would decline 40% once it reached 30% of electricity, and that the value of solar would drop by 50% when it reached 15% of electricity. In 2017, the share of electricity coming from wind and solar was 53 percent in Denmark, 26 percent in Germany, and 23 percent in California. Denmark and Germany have the first and secondmost expensive electricity in Europe.